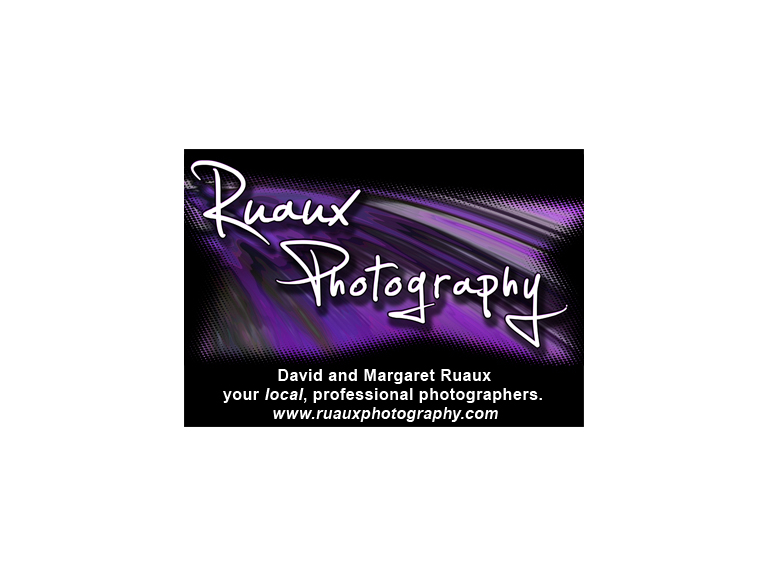 Last week I had the pleasure of visiting Ruaux Photography for a photo shoot with David and Margaret, who run the business. I was there to get some photos to accompany my blog posts (such as this one) and also to find out what was happening in their business. I was greeted at the top floor studios by David. I was carrying lots of large props to accompany my photos and David very kindly offered to help me construct the biggest one, a 2 metre high billboard showcasing what the bestof Bolton has to offer. Like most people, I don’t like having my photograph taken, but with David behind the lens I needn’t have worried. He made me feel completely comfortable in front of the camera, although I think Kate Moss’s job is safe for the time being at least. He really made an effort to get to know a little about me, so I would relax a little. David has been a photographer for over 20 years, so there isn’t much he doesn’t know about photography and lighting. First of all I posed with some bestof Bolton books. David took some really creative shots from up high and wide angle. I wear glasses usually for reading, so then we moved on to taking photos with me holding them, so I looked really studious. I think it’s a really original shot not many photographers would have thought of. One funny moment of the shoot was when David asked me to throw the bestof Bolton sign into the air. He meant just lift it up high, but I took him literally and threw it across the studio. That’s one photo that won’t be developed! Overall my Ruaux Photography was a completely positive one. I wouldn’t hesitate in recommending them to anyone. Later on that week, I had a chat with the equally as lovely Margaret, David’s wife and fellow photographer. She told me some great stories about Ruaux past shoots, and the tireless work that goes on behind the scenes to develop photos. Look out for them on a future blog. You can see my developed photographs on the website soon. In the meantime, if you want to go to Ruaux Photography yourself, then contact the always helpful David and Margaret on 01204 689588. They don’t just do portfolio shots, they do weddings, birthday parties and other special occasions.